Almost everyone I know loves a cheese and charcuterie board. Delicious preserves, cheeses, cured meets, fruit and patés; whats not to enjoy? 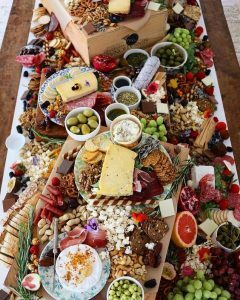 “Grazing tables” are taking the humble cheese board to a whole new level. 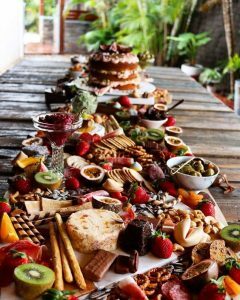 An entire table top, elegantly and craftily, laid with cheeses, meats, an array of crackers, breads, preserves, fruits, dips, chocolate and practically anything you please! 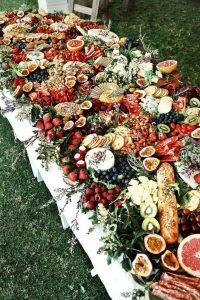 Catering companies in Europe, Australia and the UK are taking on the trend in their own unique ways, flooding Instagram and Pinterest feeds with these elaborately adorned snack tables.